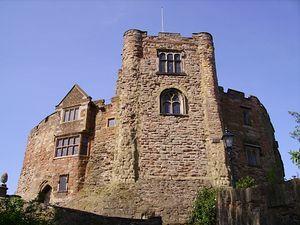 Tamworth Castle is the number one heritage attraction located in the town centre of Tamworth. A visit to Tamworth Castle any time day or night is packed full of fun, mystery and adventure. Six wealthy and influential families have owned the castle over the centuries. The medieval motte and bailey castle has welcomed a number of royal visitors including King Henry II, James I and his son Prince Charles. The ancient sand stone tower and shell wall still dominate views of the castle today. Step forward to the 17th century and encounter the grand ladies chamber, a room that has reputedly been haunted for 900 years. Continue through the servant's chamber to the battlements, here you can take up century duty and watch over the stunning views of the courtyard and the Castle grounds. Then enter the Victorian suite of rooms including the private bedchambers, the children's nursery, and the beautiful drawing room, a tranquil and traditional Victorian family room. Finally descend the stairs and experience Tamworth Castle's Jewel in the Crown - The Great Hall. Definitely a room built to impress, and one that is the setting for weddings, events and school visits. This magnificent Hall features a 15th century timber tie beam roof, an amazing display of armour and weaponry and a beautiful Jacobean fire place; the Great Hall is the centrepiece of the tour and a fantastic setting for any final pictures before heading into the shop for a hot or cold drink. Guided tours for groups by prior arrangement. Wheelchair access is restricted to the courtyard, ground floor and gift shop. An object identification service is available on weekdays but valuations cannot be given. By Road: From M1/M6 northbound take M42 and exit at Junction 10. From M6 southbound exit at Junction 12 and approach Tamworth via A5. A51 & A453 pass through town centre. Public car park sign posted from A51 River Drive. Drop off point for visitors with a disability at top of main drive - through Holloway Lodge just beyond Castle Hotel.